We’ve engineered this compact heat pump with durability, efficiency and your budget in mind. Its small footprint lets you install it as close as six inches from your home. It can alternatively be placed on a roof. 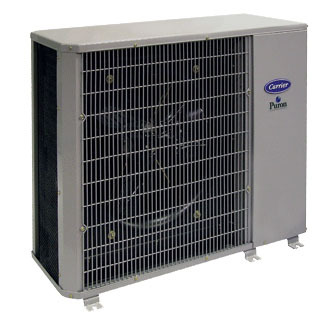 This versatile heat pump can support a commercial, underceiling, ductless system or connect to your home’s indoor furnace and evaporator coil or fan coil to provide great cooling and heating efficiency.